We carried out a survey during February 2019 asking attendees at 2017 / 2018 Trophex if they were likely to attend in 2020 with the show returning to the NEC along with some other questions as seen below. Wraptious made its first sale on a rain-soaked market stall in Manchester in 2013, but the idea evolved over the previous 12 months. I would often be found doodling in my old office job, and although I can’t claim any masterpieces, friends exclaimed they’d make good gift wrap. Now that sounded like fun! As part of the on-going crusade by TheMagicTouch in the UK to assist customers in reducing production cost and time when decorating garments, the company introduce another innovative and affordable process that will “tick all the boxes” for garment decorators. Be the best, win the best, present the best. 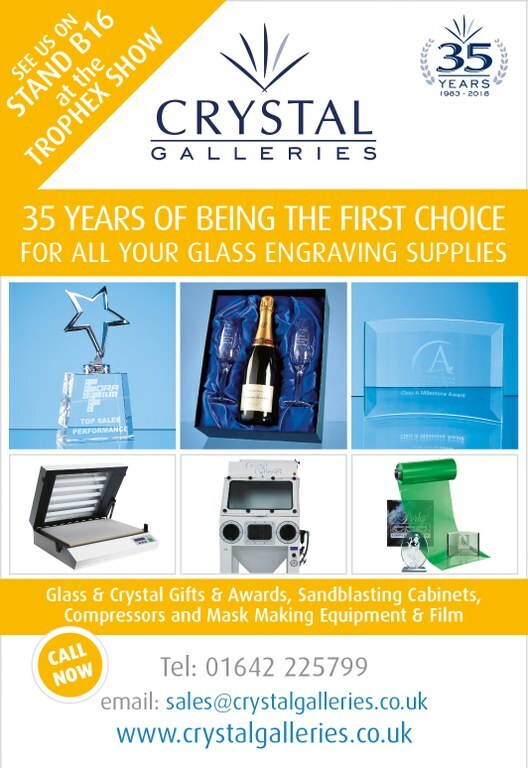 Swatkins Group is proud to present a brand new 292-page catalogue full of the finest presentation Awards, Trophies and Silverware. The Roland Academy – Roland DG’s educational training and support structure for individuals and businesses in the print sector – has made recordings of its webinars available on its website, allowing users to catch up on demand. DGSHAPE Corporation, a wholly-owned subsidiary of Roland DG Corporation and a leading provider of digital fabrication tools, including 3D milling machines, 3D printers, and engraving machines, announced today the launch of its latest decorating solution, the DE-3 desktop engraver. EFX have an array of specialist manufacturing kit and a wealth of skills. From time to time, the production team enjoy applying their expertise to something out of the ordinary. So, when an old giant of a friend turned up for a makeover and some TLC, they were happy to oblige. 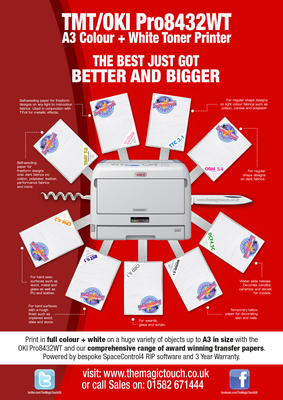 TheMagicTouch have a wide range of products and systems perfect for personalisation. 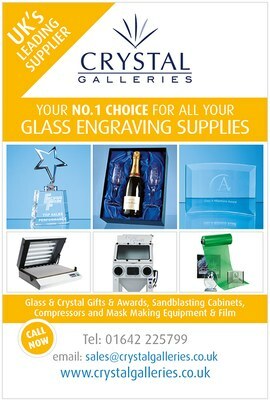 Take a look at some of the products available. When garment designs can be brought to life in just three seconds, the time is now to pair trophies and team wear for a match made in heaven. The R500 is the latest large format laser machine from Trotec designed for basic laser cutting applications. The 1300 x 900mm working area combined with 100w CO2 DC laser source makes the R500 ideal for cutting acrylic, woods, textiles and many other materials. Sawgrass knows that careful planning, strategy and adherence to plans can make all the difference when it comes to building a successful sublimation business. But the thrill of being creative and the exciting decorating technology in the world can take these important keys to profitability out of focus. Jimmy Lamb, Sawgrass’ Education Manager details four important steps that every sublimation business owner should take to get on the path to success. When it comes to trophies and medals not everyone wants to follow the crowd, thankfully for 2019 we all have new and exciting ideas to offer with Glenway’s new Trophy Street Bespoke. A fresh approach to the already popular bespoke medals and engraving services coupled together with a new 36 page brochure full of unique products just waiting to be personalised. New for 2019 is a new range of machines, resins and exciting applications. Featuring the next generation Opal doming machines including a new fully automatic xy axis version for low cost, high volume domed label production. The history of Tryumf started in 1991 when one exceptional man Wladyslaw Piotrowski came up with an idea of starting to sell sports trophies and he was not afraid of pursuing his dreams. Becoming one of the largest suppliers of badge components in Europe hasn’t come by chance. Kyd Products Ltd live and breathe badges – sourcing the best suppliers of the best quality products, offering a specialist bespoke products service to satisfy the most specific requests, and still committing to providing industry best prices. 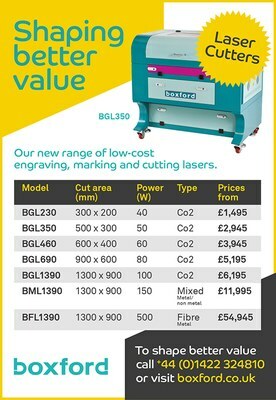 Established in 2006, HPC Laser has grown to become the first choice of CO2 engravers, mixed metal cutters, Fibre lasers and CNC routers for many well acclaimed Universities, national and international businesses and also the private market. With a dedicated support team we are an expanding company with a bright future having branched out into the European markets including Ireland, Spain, Germany and France. Materials, Machines and More ….